NAVIX is unique because we help navigate both exit planning and execution, getting both the owner and their business ready for exit. 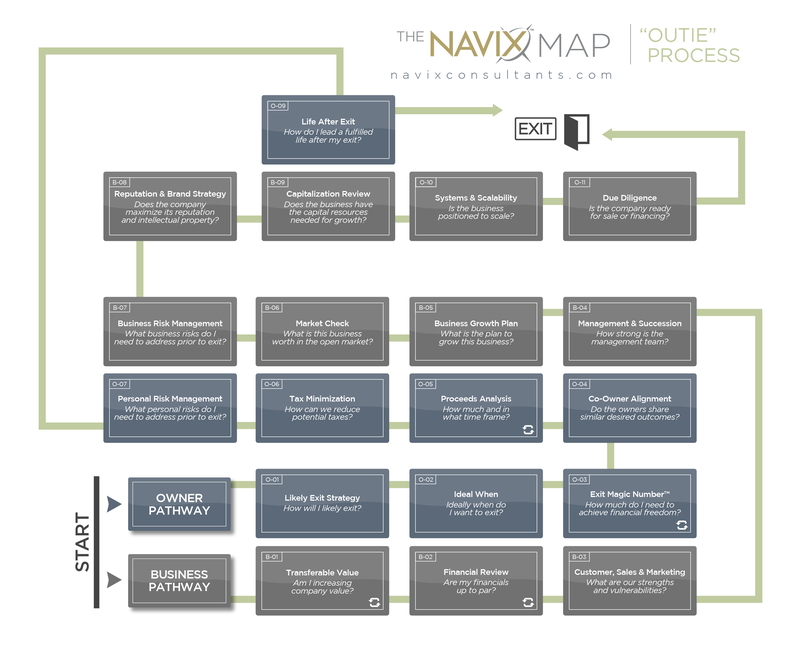 NAVIX helps business owners navigate and achieve happy exits. We have learned that successful exits require planning and execution. Business owners who do not plan have fewer options and risk losing control of the process. And owners who do not execute face falling short of their goals. The vision and inspiration behind NAVIX is founder, Patrick Ungashick. 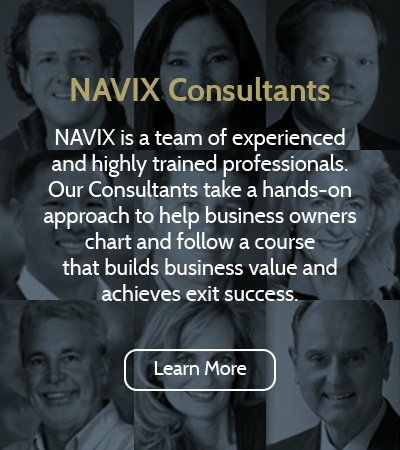 Today, NAVIX is a team of experienced and highly trained Consultants, helping business owner clients transform business value and achieve exit success. Even if you have little desire to ever stop working, most entrepreneurs aspire to reach financial freedom, in which work is a personal choice and not a financial necessity. Financial freedom creates the opportunity to do what you want, when you want and for as long as you want, whether it’s recreational activities, travel, or other business ventures. Some owners care deeply that their business continues as a standalone entity. Most want to make sure their exit does not harm key employees, strand customers, or abandon the values upon which the business was built. Most owners have given many of their prime years to their businesses. A successful exit helps to promote the opportunity for renewed family relationships and friendships. 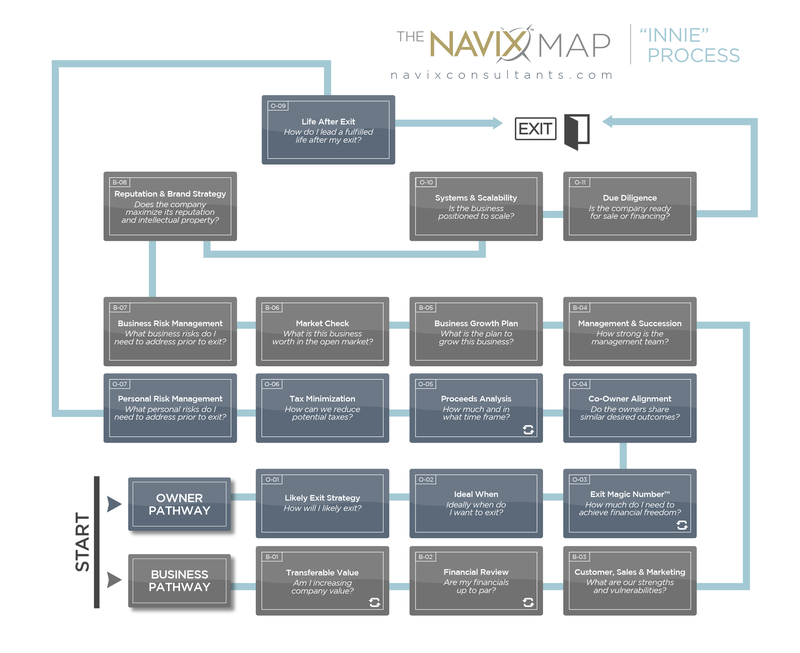 The NAVIX Map illustrates our process to identify, anticipate, and prepare for issues that lead to a happy exit. 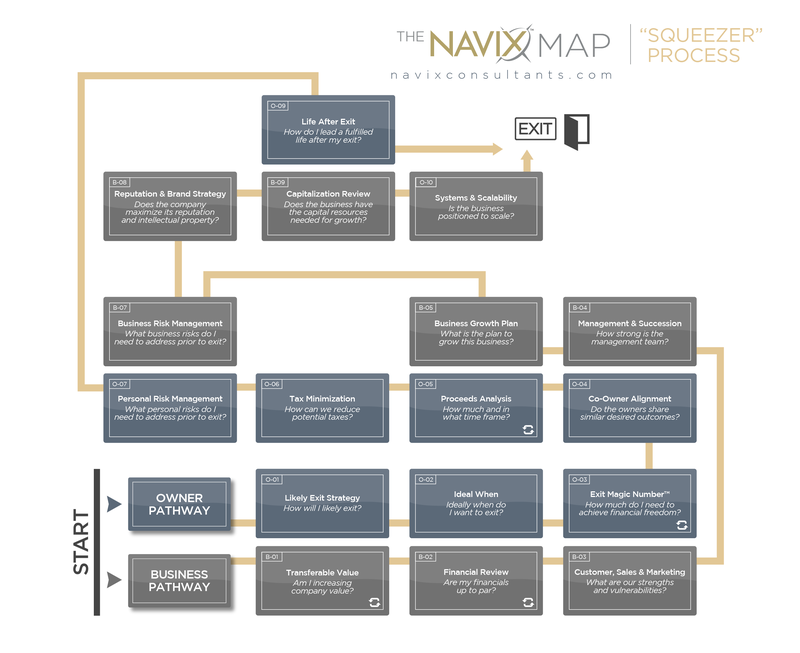 Above the NAVIX Map are the four different Exit Strategies available to business owners. Selecting your Exit Strategy reveals the course to follow along the Owner and Business Pathways, as well as checkpoints that apply to that Strategy. Each Checkpoint is a major issue or question that may need addressed to achieve a successful exit. 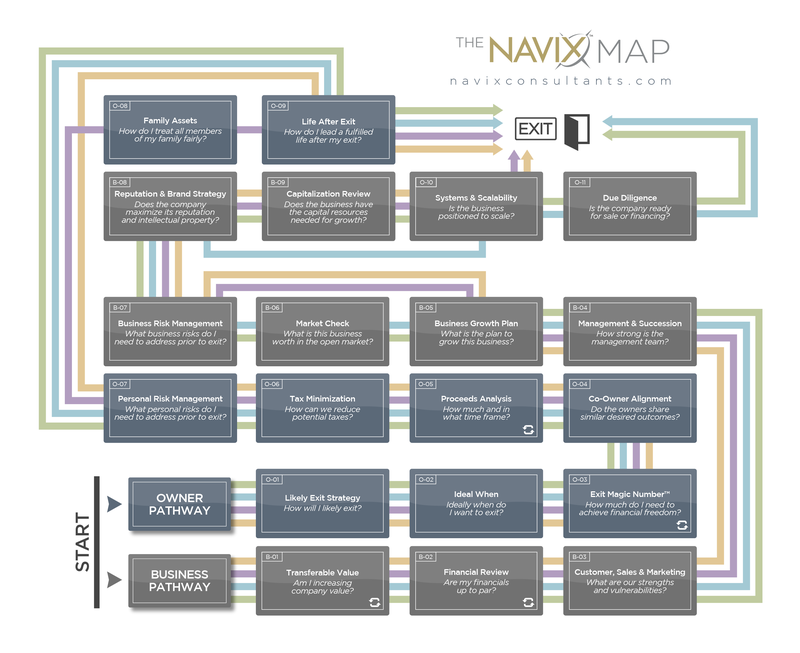 Learn how NAVIX helps business owners navigate towards, and reach, happy exits. Closely-held business owners help make the world a better place in many ways. Don’t let your success trap you in your business. 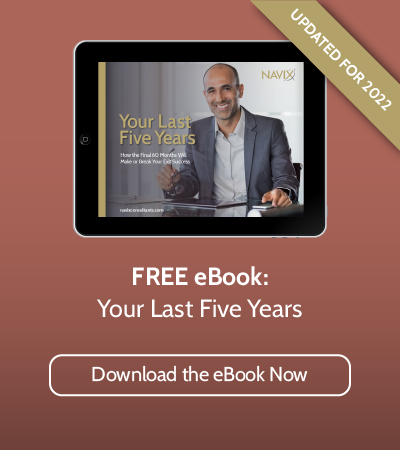 NAVIX can help you reach personal financial freedom and create a sustained business legacy. Business owners need more than accountants, lawyers, and financial advisors to achieve happy exits. 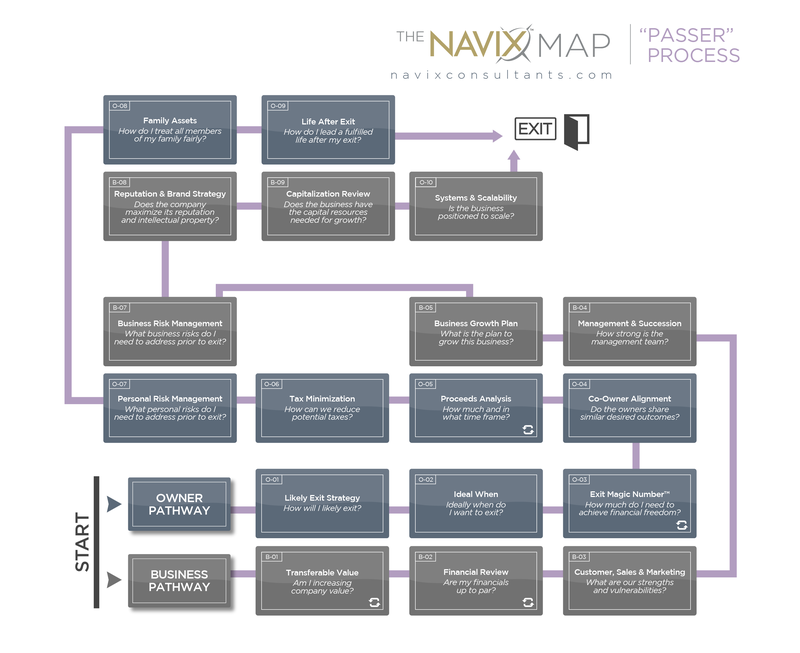 Learn the five significant benefits of working with a NAVIX Exit Planner. At NAVIX, we work closely with our client's other professional advisors. Here's why they play an important role in helping you exit. 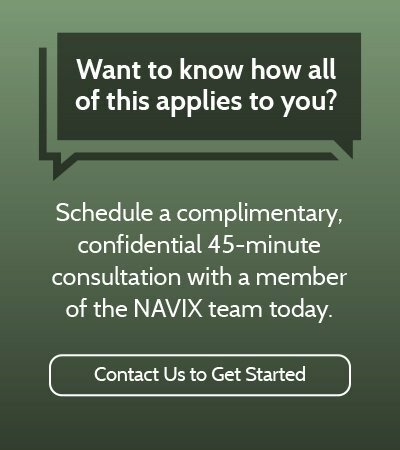 Schedule a FREE 45-minute consultation with one of our experienced NAVIX™ exit planning advisors today. Click the button to learn more.